The Uttwiler Spätlauber is an amazing apple grown in Switzerland that has the ability to resist aging–which makes the rare apple one of the most in- demand MUST-HAVES in the beauty industry. Even the first lady,Michelle Obama, is rumoured to be a fan of these anti-aging apples. 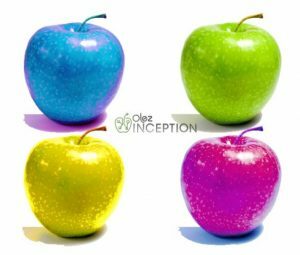 On July 22, Boca Cosmetics Group plans to take the cosmetics industry one step further with the launch of Olez INCEPTION, the first hair-care line to incorporate Apple Stem Cells from the Uttwiler Spätlauber. These Apple Stem Cells not only process anti-aging properties, but they promote cell regeneration, hair moisture, strength and shine. –and will be available in salons July 22. ← WHAT CAN APPLE STEM CELLS DO FOR YOU?